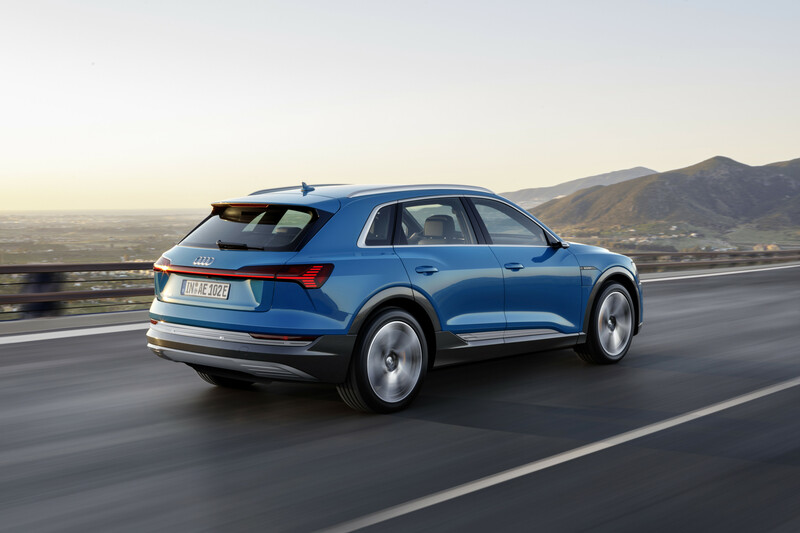 Audi chose the ultra cool surroundings of San Francisco to host the launch of its latest all-electric SUV, which packs a 95kW battery pack and boasts a 248-mile range on a single charge. Once the smoke had cleared and Diplo had finished dropping some mad Dubstep beats, we got up close and personal with the large SUV that joins, which I-Pace and Mercedes-Benz EQC on the list of recent big-name EV launches to worry Musk. Based on the Volkswagen Group’s MEB platform, which is used for a number of electric models from Volkswagen and Skoda, the new e-tron packs a dual motor system that sees an electric drive unit bolted to each axle. These twin motors combine to offer a total system output of 300 kW and a staggering 664 Nm, which is enough to dispatch of the 0-62mph sprint in just 5.7 seconds and propel e-tron on to a limited top speed of 127mph. 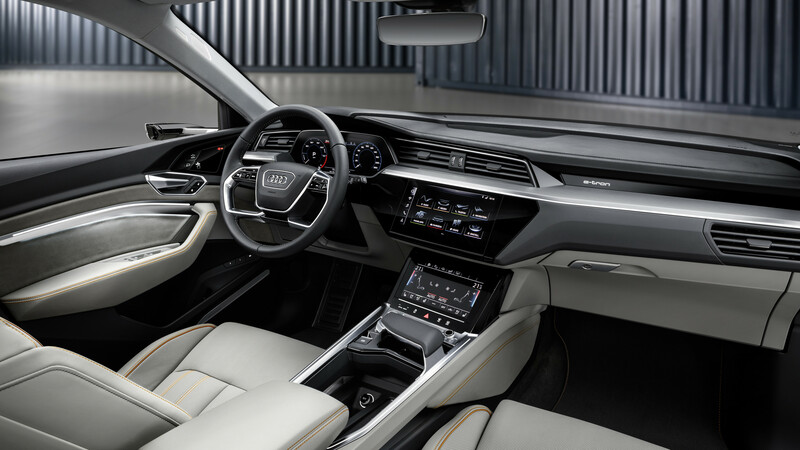 Because the power distribution can be constantly altered by clever onboard software, drivers can make the most of Audi’s drive select system to alter the characteristics of the car on the fly. One moment it can be a comfortable cruiser that seats five and offers 660-litres of luggage space in the boot, and the next it can devour tarmac by sending power to the rear wheels like a thoroughbred sports car. Better still, the e-tron features one of the most advanced energy recuperation systems that sees that batteries topped up under braking and when the vehicle is coasting. At up to 0.3 g of deceleration, which is up to 90 per cent of any given journey, the electric SUV recuperates solely via the electric motors, with the wheel brakes only called into play when the driver decelerates by more than 0.3 g using the brake pedal – a first for any manufacturer. 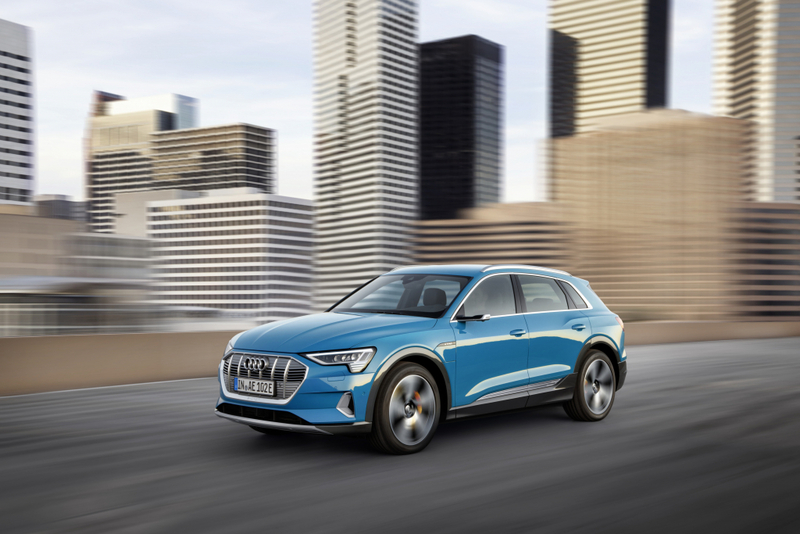 The tangible result of such technology was demonstrated at the punishing Pikes Peak race recently, where Audi managed recuperate nearly 19-miles of the e-tron’s range just by coasting down from the 14,000ft summit. There’s also some impressive technology on display, with typical wing mirrors replaced by high-tech cameras on slender stalks that supply a live video feed to OLED screens inside the doors. Admittedly it feels a little overkill at first, but these fancy mirrors mean the Audi e-tron achieves a Cd value of 0.27, which is an impressive result for a big old SUV, and they allow the driver to easily interact with the screens to move the live image, highlight potential blind spot hazards and adjust the picture to afford a wider view when turning, for example. 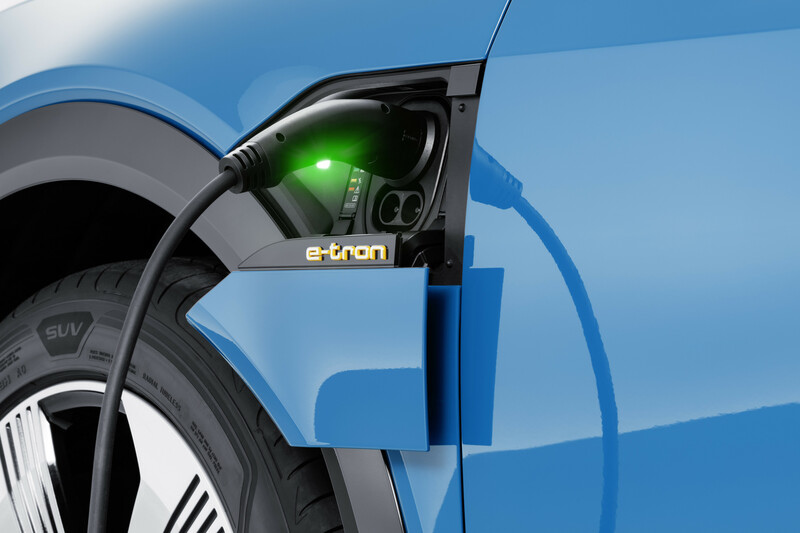 Expect the e-tron’s 95kWh batteries to take around 8.5 hours to top up via Audi’s neat compact 11kW home charging adaptor, or 4.5 hours using a chunkier 22kW home system. Of course, using one of the Holy Grail 150kW chargers, which are slowly becoming more commonplace in the UK, will see an 80 per cent charge delivered in just 30 minutes. Audi’s Tesla rival will will cost £70,805 and first deliveries will start in early 2019.